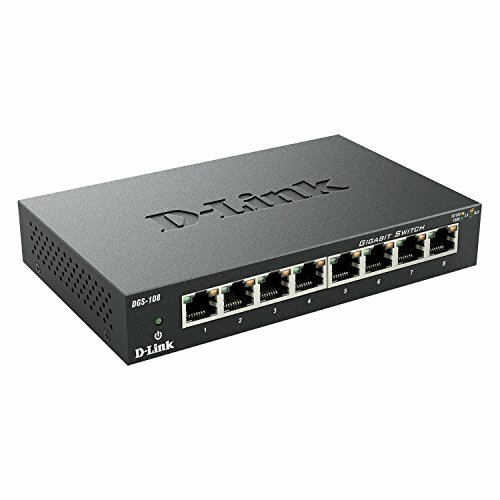 The DGS-108 8 Port Gigabit Switch provides a quick, easy and economical way to add high speed networking to home offices, small and medium businesses. With data transfer speeds of up to 2000 Mbps the DGS-108 is ideal for fast file transfers and easy expansion of your network for connecting printers, scanners, storage, and backup devices to any network. Compact design with metal case that is ideal for wiring closets, conference rooms or small offices. Use it on a flat surface or use the included wall mount kit.